Roots for Boots was honored to be presented a very generous $1,000 check from the Red Lion Legion Riders. What a wonderful, welcoming group of Patriots! 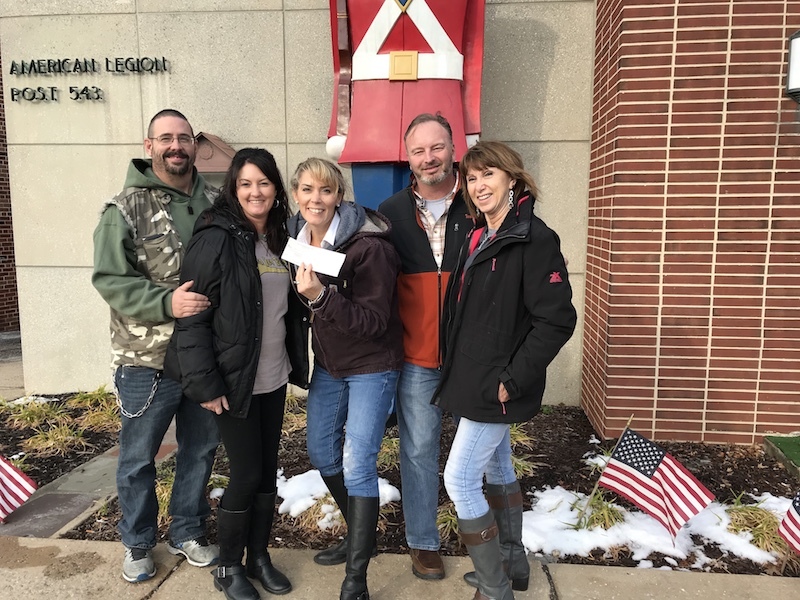 CEO, ChristyLucas, was accompanied by officers from the newly formed Roots for Boots Riders (Heath and Sherri Linebaugh and John and Kathy Wolf), an offshoot of Roots for Boots, while receiving the check. Love and hugs from us to the those Red Lion Legion Riders for this wonderful gift … we look forward to future projects together!